Awesome. Awesome weather, no rain mid-80’s and sunny during the day. Awesome destination on the cruise. We had fun in Nassau and Castaway Cay. Judy took advantage of all the extra resort only hours, e.g. we stayed on West Coast time, late mornings but late at the park. We’re ready to go back to Epcot for Christmas. Maybe not this year, but we’ll see. Thanks for all your planning and coordination. For future client reference, it’s best to coordinate the buses from the airport in advance, e.g. RSVP for the buses from the airport a day or two in advance, although walking up would have been no problem. We liked the All Star Music a little better than Pop Century, because it had a guitar shaped and piano shaped pool, plus it was closer to the other parks, like Animal Kingdom and Disney studios. The rooms were a push. We had no problems with the buses, they worked great. Disney had all the baggage details worked out. Plus seeing a shuttle launch from Orlando was unbelieveable. We’ll be ready to go back. See Epcot’s fireworks, Illumination, skip Phantasmic (Disneyland’s) is better. Disney studios was more fun than expected, especially the Playhouse Disney Dance Party. Spring Break was a blast. Lots of kids, but we didn’t care because we were at the fun unpretentious resort. The pool was suppose to close at midnight. We finally got out at 2AM our last night. Too much fun to continue. Melodie and my husband David met at a Chamber of Commerce mixer. 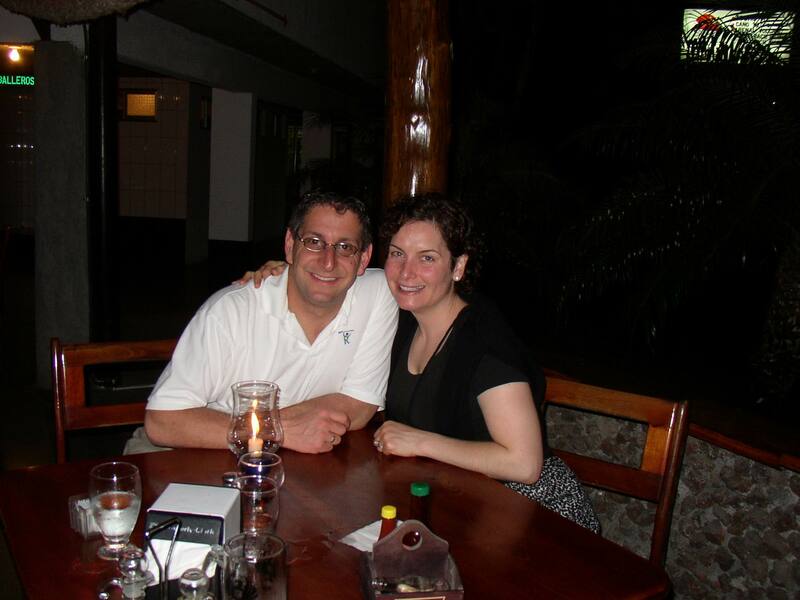 We needed some assistance creating a destination trip to Costa Rica to celebrate our one year anniversary. 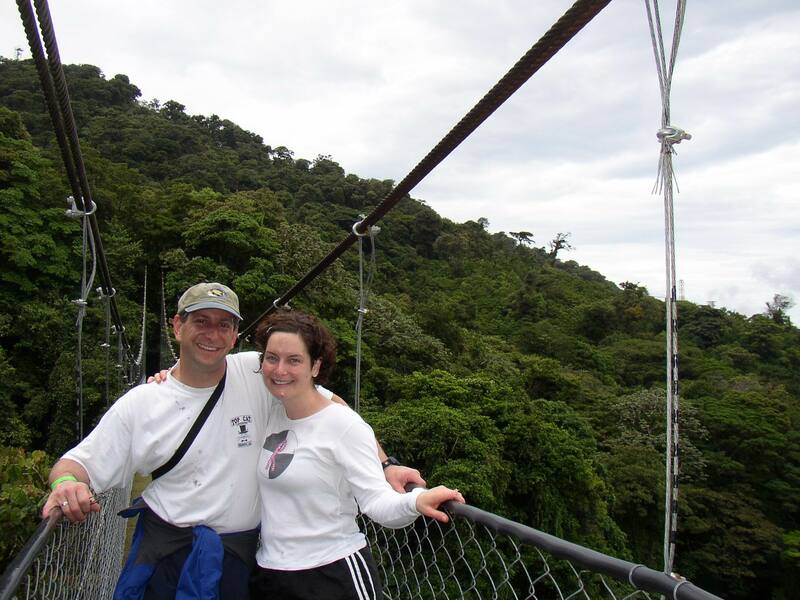 Melodie listened to our interests, likes/dislikes and created an amazing adventure for us in Costa Rica. In addition to securing the itinerary she also answered all of our questions about the area, our resort accommodations, the food, etc. Everything went off without a glitch. It remains one of our top vacations ever. Skip forward a few years, we’re the proud parents of two children (ages 4 and 15 months). Ready for a family vacation, we decided to try the newly renovated Club Med Ixtapa. As I was researching packages and agents to get us the best deal, I received a newsletter from Melodie about her experience and her ability to get great rates. She raved about the site and got us a very affordable price. We went last winter and had a blast! Recently I had to purchase two tickets for Israel. My fare would be reimbursed by my company (with a monetary limit), but David’s would be at our cost. Initially I wanted to use miles for David’s ticket, but that got too confusing, so I went to the internet to compare flights and rates – being totally confused and frustrated I called Melodie to see if she could beat the rates I’d found. Not only did she beat it, she saved us almost $500 each on our tickets. Israel here we come! Thank you Melodie for all your help, guidance, assistance and patience. My wife and I want to follow in the footsteps of Samantha Brown and spend some real quality time on Ambergris Caye in Belize. We hit the websites, the airlines, the travel sites.. hours of research.. then in our confusion, we called Melodie.. the next day.. trip arranged, all sorts of recommendations.. and we had a wonderful time. Here I am with my new friend…..
Australia has always been a dream vacation for many years; we were just waiting for the perfect time to fit it in with both of our work schedules and a good time to go with their reverse seasons…but the years passed and we continued to go on closer “simpler” vacations. One Saturday, we heard a radio ad for a travel expo at the Santa Clara Convention Center and, on a whim, we decided to go and check out any information on Australia. We stopped at many booths, picking up brochures, but nothing sounded exciting until we met Melodie at the Kennedy Kruises & Travel booth. She had so many years of personal experience in travelling in Australia, sharing first hand experiences and ideas for a trip, whether we booked with her or did something on our own, and she tried to calm my boyfriend’s fears of all the potential deadly creepy crawlies in Australia! A few weeks passed and we seemed to have worked out a perfect time to go to the Land Down Under. I did some research on my own but the stories from Melodie from the expo came back to mind and we wanted to see what she could pull together for us. I called her with the news that we’d worked out a time to go…and, oh, we want to do this in a MONTH! I think she fell off her chair! Melodie was up to the challenge and quickly came back with an itinerary that sounded perfect…2 weeks in Australia with time in Sydney and the Port Douglas/Cairns area but with smaller tours and staing in the “not-so-touristy” hotels as we did not want to be part of the masses. Even with the short time to get it booked she was able to get the itinerary in place and we were on our way to Australia 3 weeks later – a dream come true. Melodie had also passed along ideas for our own side trips at the different locations, including tidbits of history, unique sites and facts and recommendations for restaurants. The experience we had in Australia this year was unforgettable! The trip was perfect, down to all the details of the hotels, the tours and the food. 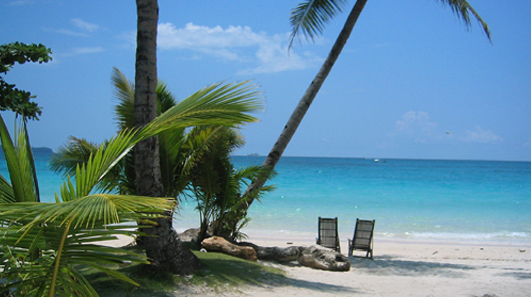 We never felt like the “typical” tourist with the itinerary that Melodie created. 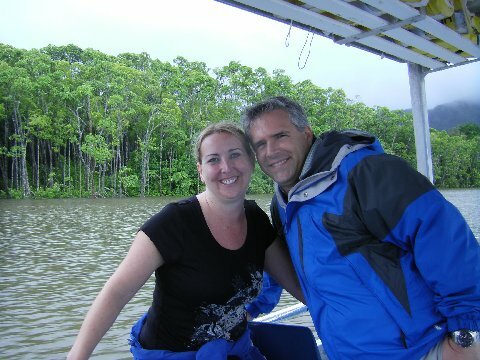 Even with days of monsoon rains in the tropics when the boats weren’t going to the Great Barrier Reef or the rainforest, all the tour companies were great in rescheduling for later days to accommodate our vacation schedule. I was extremely happy with all the companies that Melodie scheduled us with; otherwise we might have flown 14 hours and not been able to see the sights we wanted in our trip. Cheers to Melodie for an incredible Australian vacation! She made the trip so easy and simple for us that I wished we would have gone there years ago. We can’t wait to go back and will definitely book our next trip with her. 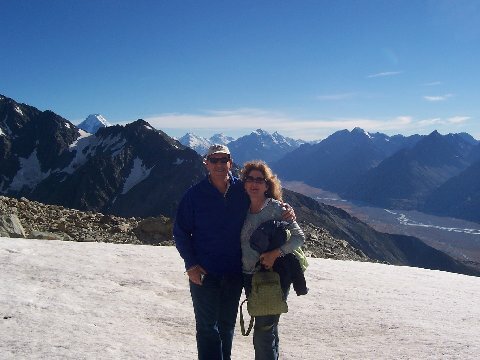 Jennifer K. and Adam D.
Paul and I wanted to thank you so much for making our 25th Wedding Anniversary trip to New Zealand and Australia so memorable. We had talked to people who had travelled there and researched our travel books and knew what we wanted to see but didn’t know how to put it all together. Our niece knew you were a Certified Aussie and Kiwi Specialist and gave us your name. After talking with you many times and figuring out what was possible in our 3 week vacation, you helped put together a trip we will never forget and have wonderful memories for years to come. I was worried about the 13 hour flight to New Zealand but that worked out fine. There were about 50 empty seats on Air New Zealand so we got to spread out and put our feet up. 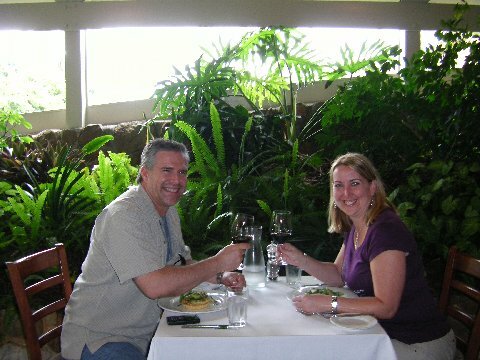 The food and service were really nice and we would fly them again. After Auckland, we stayed at a friends’ condo for 3 nights and explored from sun up to sun down. Off to Rotorua where we saw lots of geyers. We flew out of Rotorua to the South Island without even a security check. We landed in Christchurch where we picked up the rental car. Melodie, you did a great job pre-booking our hotels so we would know where we were staying each night and having cars set up at airport and day tours all set up. It gave us time to really enjoy the sights. I thought I was going to like the North Island better but I loved the South Island. Paul became fast friends with Margaret at the helicopter line. We loved Queenstown. Lots of shopping and good places to eat. We took the gondola up to the top of the mountain and went for 3 rides in the luge sleds. Another first for us. The next day we went over to Milford Sound, we had a really good driver who gave us all kinds of information on the way there. Beautiful. The next day we left for Australia with mixed emotions. We loved New Zealand and would have liked to spend at least another week there. There was so much we didn’t get to see but will save that for another trip. Paul says we’re going before our 50th wedding anniversary. We were also excited to explore Sydney and the Great Barrier Reef. There’s so much to do in Sydney, we got to the Opera House, Zoo, Manly Beach; we took all around Sydney because at that point we were exhausted from walking so much. Off to the Great Barrier Reef; I cannot begin to describe all the different colors and shapes of coral we say on the ocean floor. Every shape and color of fish. Paul and I rented the wet suits so we could spend the whole day in the water. The food was also really good at lunch, we were starving after swimming so much. We both would have loved to spend another day at the Reef if time wasn’t a factor. 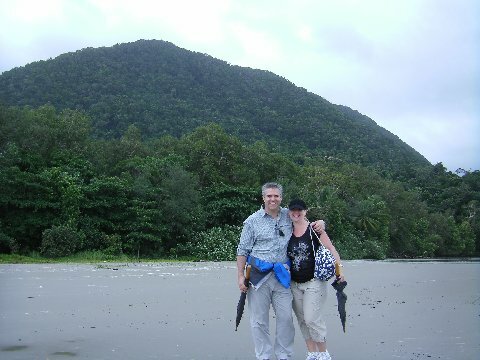 The next day we went on the wonderful Rainforest Tour lead by Rick who was full of all kinds of history and knowledge. That was really a memorable day. 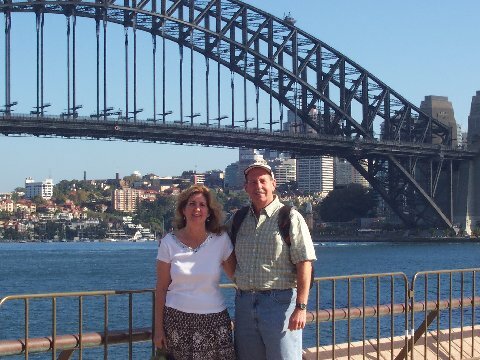 the next day we headed for Sydney overnight before our trip to Auckland and home. We were sad to end our 3 week adventure. We want to thank you for all the arrangements you made for us to make it a one of a kind of trip that we’ll never forget.